Offering you a complete choice of products which include control valve castings, valve castings, steel valve castings and valve casting. 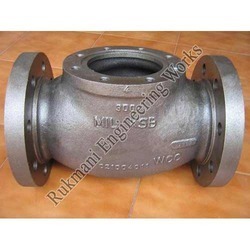 Manufacturer, Supplier, Distributor, Trader and Exporter of Control Valve Castings in Coimbatore, Tamil Nadu, Karnataka, Andhra Pradesh, Kerala, India, North India. 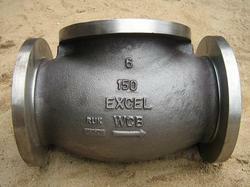 With the support of our able personnel, we are engaged in dispatching a wide range of Control Valve Castings. These control valve castings offered by us are manufactured using carbon, alloy & stainless steel in conformation with the industry laid norms and standards. In addition to this, the offered range is appreciated among the clients for its durability, high performance and corrosion resistance. 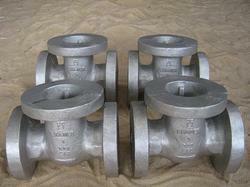 We are a noteworthy manufacturer and exporter of superlative quality Valve Casting. In order to manufacture the offered casting, we make use of premium quality raw material and modern techniques. Further, offered casting is rigorously tested on various parameters by our professionals to ensure its flawlessness. Our precious clients can avail the offered casting from us at reasonable costs. Manufacturer, Supplier, Distributor, Trader and Exporter of Steel Globe valve casting in Coimbatore, Tamil Nadu, Karnataka, Andhra Pradesh, Kerala, India, North India . We are a prominent globe valve casting suppliers which is engaged in delivering a superior range of Steel Globe Valve Castings. 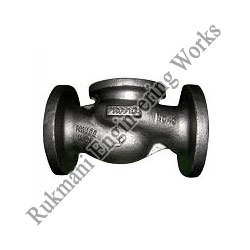 This range of steel globe valve castings offered by us is manufactured using premium grade raw material such as carbon steel, alloy steel, stainless steel and allied in complete adherence with the industry laid norms and standards. These products are applauded for their durability, high performance, corrosion resistance and other features. Components we make: Globe valve body, bonnet, disc. Looking for Valve Casting ?